The company is listed on the Athens Stock Exchange Parallel Market. Gregory’s Micromeals is contracted to operate all restaurants and snack bars on Greek Railways trains. Coffeeright is launched. The first 3 stores in Cyprus are launched. 31 new Gregory’s Micromeals & Coffeeright stores open in Greece and Romania. Franchise Awards: Gregory’s wins Best Value for Money Product award. Franchise Awards: Gregory’s wins Customer Oriented Franchise award. The new Gregory’s Bakery concept is launched. 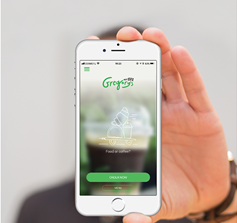 Gregory’s celebrates 270 stores. Gregory’s establishes a strategic partnership with Hellenic Petroleum and opens its new GREGORY’s MICRO concept stores at EKO/BP fuel stations. Our first store in Berlin!